"But the key to our comeback in the second half was that we were our extraordinary determination. Victor Ikpeba, the AC Monaco striker who was voted as Africa's top player a year later, reduced the tally in the 78th minute. 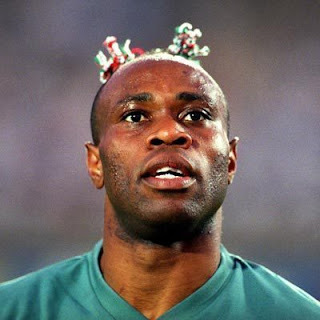 After such a dramatic victory against the team of Bebeto, Roberto Carlos and Ronaldo, which had won the World Cup only two years before, West says the Nigerians were certain they had a golden date with destiny in the final against Argentina, at the Sanford stadium in Athens, Georgia.